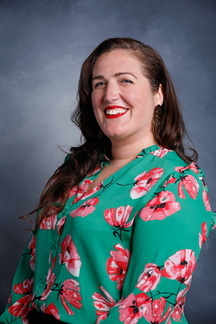 Katie Spencer, PhD is an assistant professor, licensed psychologist, Co-Director of the National Center for Gender Spectrum Health, and coordinator of the Adult Transgender Health Services Program at PHS. Her primary clinical practice is working with transgender and gender non-conforming, adolescents, and adults, women’s sexuality and sexual health, and LGBT sexuality and well-being. Dr. Spencer has written, presented and published scholarship on transgender sexuality, queer femininities, and gender affirmative approaches to transgender healthcare. She provides training and education of therapists and medical providers in sexual health and transgender health care competency. She is developing a curriculum of pleasure based sexuality for people on the transfeminine spectrum and working, with her colleagues, to revise existing measures of gendered experience to improve congruency with transaffirmative philosophies. She is the founder and chair of the Minnesota Transgender Health Insurance Taskforce and often provides consultation and advocacy on insurance and policy issues in transgender health. Dr. Spencer and her colleague, Dr. Dianne Berg are the authors of the Gender Affirmative Lifespan Model of Psychotherapy and Education that is the theoretical framework for the clinical-research program of the Gender Health Services at PHS. Dr. Spencer received her PhD in counseling psychology from the University of Missouri-Columbia, completed her pre-doctoral internship at the University of Illinois-Chicago, and she was a postdoctoral fellow in human sexuality at PHS. She is passionate about social justice and feminist approaches to academic scholarship and clinical practice. 2015-17, U of M Office of the Vice President, "Group Differences and Minority Stress in a Clinical Transgender Population"
Spencer, K. (2017). Femininity. In K. Nadal (Ed.) The SAGE Encyclopedia of Psychology and Gender (pp. 546 - 548). Thousand Oaks, CA: Sage Publications.